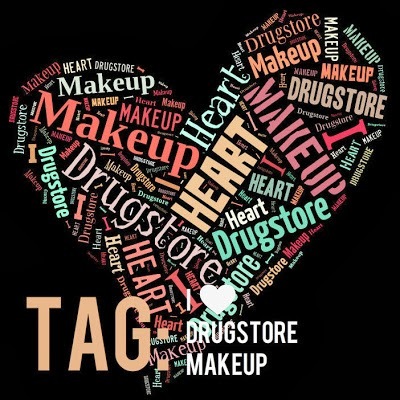 I love makeup and I love the drug store so I decided to mix the two and complete the I Heart Drugstore Makeup tag. I love love love Rimmel, I think there products are such good value for money. I love the mascaras and concealers (as does everyone) but I also really like their nail polishes. Seventeen are really impressing me at the minute too, there phwoar paint concealer is amazing! My favourite face products are probably from Bourjois! I love their Healthy Mix Serum and their Chocolate Bronzer. For cheek products i would say either Natural Collection or Seventeen again. Finally, the Rimmel Moisture Renew lipsticks are brilliant as are the MUA £1 range. My least favourite product has to be any black kohl eyeliner. I just cannot find one in the drugstore that stays put. Erm, i'm not to sure! I think MUA do some amazing products but the best is probably the Seventeen Phwoar Paint Concealer at the minute, it's so good. I'd go as far as to say it even beats my Collection Lasting Perfecting Concealer. I really love Natural Collection lipsticks and lipglosses, they are so good and last for such a long time. I definitely think they deserve more hype, they are so so cheap too! I think a lot of Bourjois products are over priced really, especially their blushers. I also think a lot of L'oreal products are rather expensive too. understand why people think they are so good. I tag anyone to do this tag :) let me know if you do so I can have a little nosey.